White mulberry is traditionally used for patients with diabetes. This herb may play a role in preventing development of type 1 diabetes by providing antioxidant protection to pancreatic beta cells. Mulberry plant has also traditionally been used in the treatment of type 2 diabetes to lower blood sugar, maintain adequate insulin levels, and reduce insulin resistance. White mulberry has many potential medicinal applications according to traditional Chinese medicine, some of which have been verified by modern scientific research. Mulberry leaf extract contains polyphenols, flavonoids, carbohydrates, proteins, and lipids. 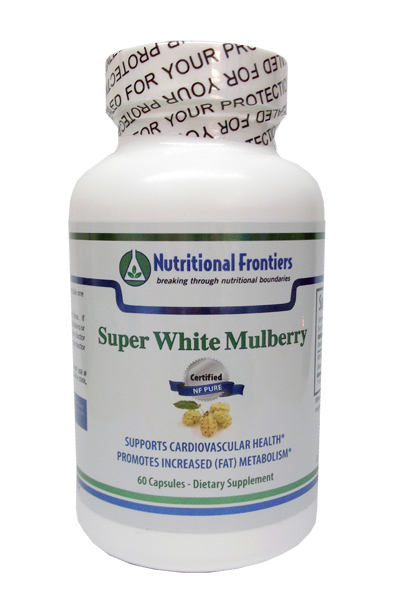 Mulberry has been used to prevent coronary heart disease. A 2011 study showed that mulberry leaf extract inhibited the oxidation of LDL, which is significant in that oxidized LDL is the hallmark of atherosclerosis. In vitro research confirms the presence of anthocyanins and antioxidant activity which prevent the oxidation of LDL. Another mechanism of atherosclerosis involves the proliferation and migration of smooth muscle cells in blood vessels. An in vitro study by Chan and colleagues demonstrated that mulberry leaf extract stopped the migration of vascular smooth muscle cells, thereby supporting the traditional use of mulberry in helping heart disease. A study in rabbits showed that mulberry leaf extract helped to improve liver function and atheroma burden. Furthermore, blood levels of cholesterol, triglycerides, and LDL were significantly reduced in these animals. In addition, the mulberry leaf extract treatment improved endothelial cell function and reduced atheromas (swelling in arteries associated with heart disease), thereby improving atherosclerosis in the rabbits. Mulberry may prove to have some uses in cancer, too! The polyphenols in mulberry leaf may help to stop cell proliferation, invasion, and metastasis according to one in vitro study using hepatocellular carcinoma cells. White mulberry, also called Morus alba, is a small tree native to northern China. In addition to its medicinal applications, white mulberry is used commercially to feed silkworms. Cautions: White mulberry may interfere with some pharmaceutical medications, particularly cyclosporine and other medications metabolized through cytochrome P450 3A. Those patients taking drugs to lower blood sugar should pay close attention to their blood sugar levels, as use of white mulberry may also lower blood sugar. Warning: Do not exceed recommended dose. If you are pregnant, nursing, taking any medications, or have any medical condition, consult your doctor before use. Discontinue use and consult your doctor if any adverse reactions occur.